This post is sponsored by Bounty. I am being compensated to spread the word about Bounty, but Pawsitively Pets only shares information we feel is relevant to our readers. All opinions expressed here are our own. Bounty is not responsible for the content of this article. It's back to school season and that means new routines and schedules for us. 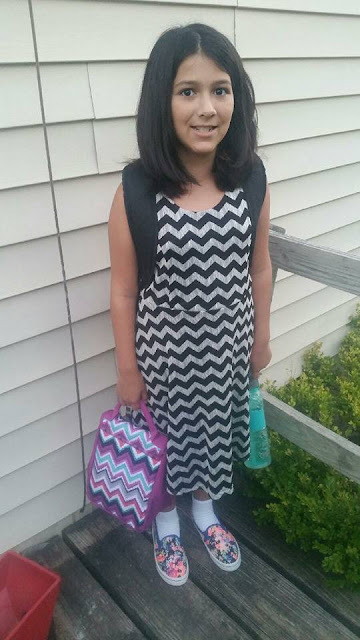 I have one daughter who went into 5th grade this year, and I've found that I am adjusting myself to a new schedule. I wake up earlier to help her get ready for school and pack her lunch. Afterwards, I try to get some work done. With my new back to school schedule, I've included a new cleaning routine. That is to say I am trying to do it more often. With one kid out of the house for much of the day, it does make it easier to get a little bit of housework done. Most of the big kid's messes are trash wrappers and empty juice pouches that she leaves behind. However, she is getting to the age where she is old enough to make her own snacks and I am teaching her some basic cooking skills. Let's just say that she needs a little bit of work in the cleaning up after herself department. 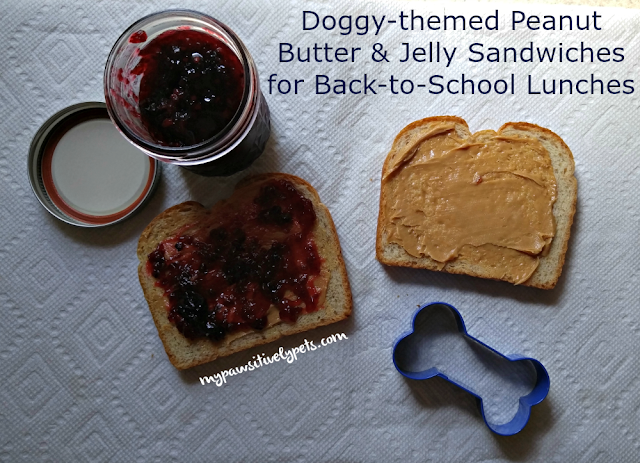 One cute back to school lunch idea I've tried this year is a doggy themed lunchbox. Nothing too fancy, but it's cute and simple. I like to keep it fairly simple in the mornings. I know kids love eating lunch when it's more fun. 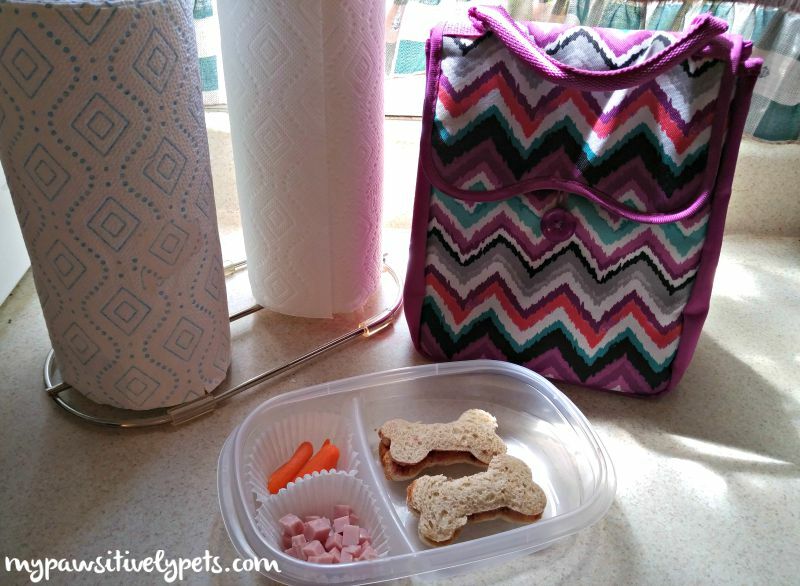 I used our dog bone cookie cutter to cut her regular peanut butter and jelly sandwich into fun dog bone shapes. In the mornings, I have my daughter help me prepare her lunch. Her favorite lunch food is peanut butter and jelly sandwiches. She loves them, but they are messy! I've now taught her that if she puts the sandwich and butter knife on a Bounty paper towel while making it, we can avoid the mess. Still, I often times will find dried up and sticky peanut butter and/or jelly on the kitchen table later that afternoon when I'm cleaning. Thankfully, I have Bounty with Dawn for sticky messes like this. Bounty with Dawn is water activated with the long lasting power of Dawn and new ultra durable Bounty. All I need to do is wet the paper towel, squeeze out the excess water, and scrub away at the sticky peanut butter and jelly mess. I can rinse the paper towel out under running water and use it again for many more messes in the kitchen. 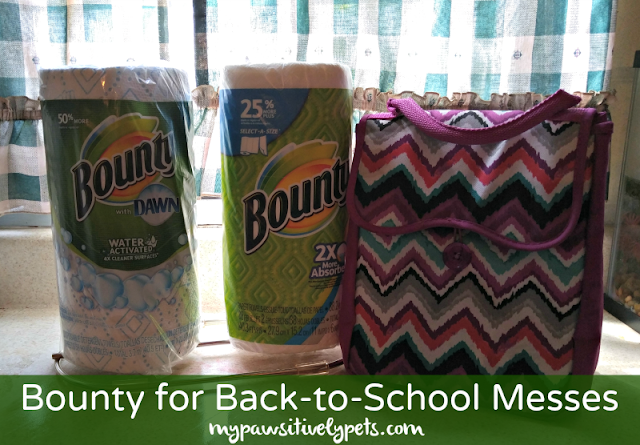 I've used Bounty with Dawn for other messes in the house including cleaning my rats' cage, de-greasing the stovetop, cleaning the litter box, and scrubbing food spills on the couch or carpet. They are excellent for pet messes in general too. In fact, I just used both rolls yesterday to clean up a mess that Shiner the dog made. For messes that need absorbency, like spills, I reach for classic Bounty paper towels. Regular Bounty and the new Bounty with Dawn work best together. They are like two peas in a pod! As you can see, I have a very useful dual paper towel roll holder that makes it easy to reach for whichever Bounty product I need for the cleaning task at hand. For sticky or greasy messes, I reach for Bounty with Dawn. For messes that need absorbency, I reach for a classic Bounty paper towel. If you'd like to give this handy limited edition dual roll holder a try, you're in luck! We are offering 30 Pawsitively Pets readers a chance to take home one of the limited edition dual roll holders equipped with the new Bounty with Dawn and regular Bounty paper towels. If you'd like the chance to have one of these in your home, just leave us a comment as directed in the Rafflecopter form below. This offer is only open to US residents, ages 18+. 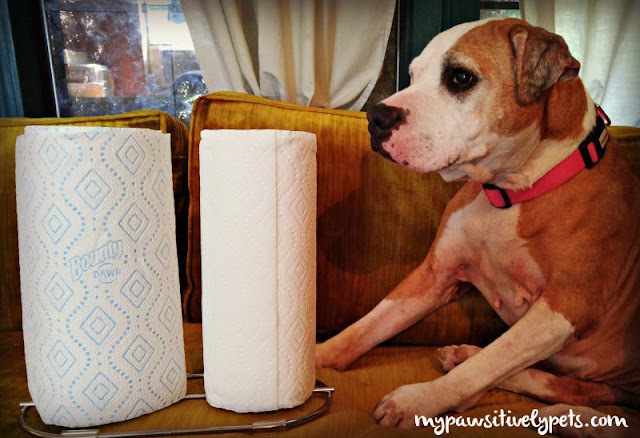 That was a fun post and boy do we ever go through paper towels here...we buy them by the case. Not back to school here yet...teacher strike. I wonder if we will ever pay teachers and caregivers as much as we pay for a latte? I am so glad that I don't have to go back to school anymore. Of course, with two dogs in the house, Bounty is a must-have! Organizing myself in the evening to make mornings run smoother. My granddaughter went back to school so don't see much of her. Having 2 cats and a dog always need my Bounty around no matter if kids are here or not. I am cleaning and organizing bookshelves better. No new back to school routine. Just perfecting what we got! Don't need to have a "back to school" routine anymore! Thank goodness.